As so often happens for me on social media, be it Facebook or Google+, a posted photo of a magnificent Ginger Fro inspired me this morning…and got me thinking…. 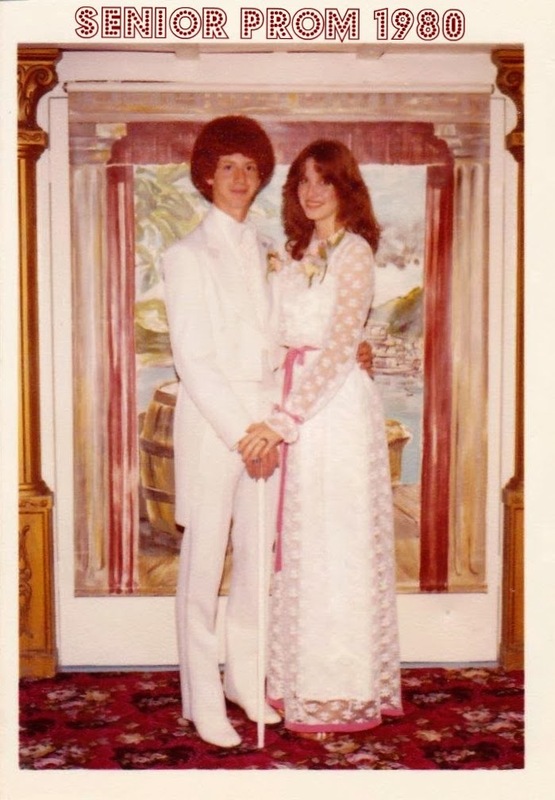 My memory traveled back to 1980, and my Senior Prom. 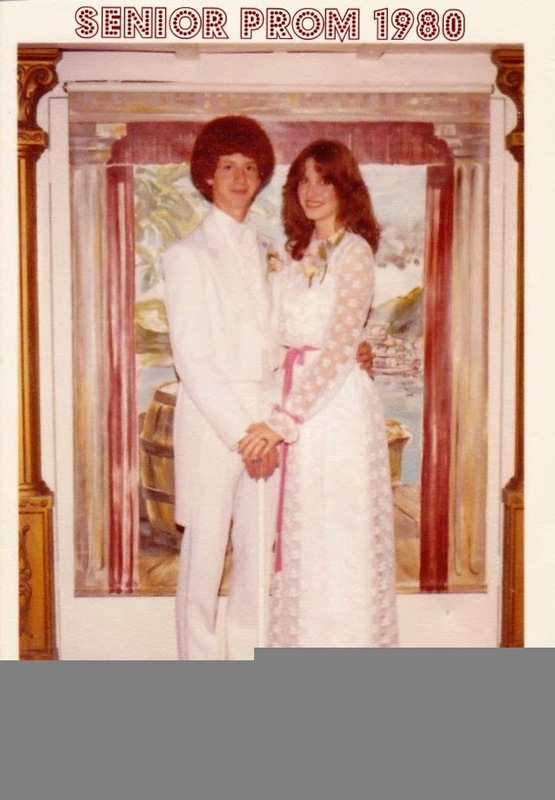 My date, J.R., had an awesome Ginger Afro. I was reminded of how he’d asked me to my very first Homecoming dance sophomore year. I’d just moved to the small town of Dunlap, Illinois from my birthplace and lifetime home, Jacksonville, Florida…and I felt completely out of place. Being the new, shy, ‘too’ tall, self conscious, Southern Baptist girl with a deep accent which was ripe for teasing, was terrifying for me and a source of amusement for many of my Midwestern classmates…these farm raised kids who worked long hot summer days detasseling corn for beer money. I was completely out of my element. After a while, in order to survive high school, I learned to be a chameleon. I blended in…and that has served me well in many uncomfortable situations since. From living in Queens, NY…to being a Navy wife in Southern California, to being among the oldest returning college students attending Nursing School after the birth of my daughter…I always felt a bit different, and I wanted desperately to simply blend in. Now, these days, I don’t mind standing out in a crowd, as long as it’s due to my strengths and not my insecurities. Don’t most of us just want to fit in? I know I do. So….that said…this place is not about the Likes, the Shares, nor the Follower Counts. Social media, for me, is all about making Connections, reveling in both our differences and recognizing the things we have in common, and I think we all have a lot more in Common than most people realize. I never had a “boyfriend” in high school…(remember the too tall, too skinny, too ‘smart’ girl?) So, J.R. and I decided we’d end our high school dance traditions just as we’d begun them. We attended our first, and last high school dance together. Two kids, standing out for different reasons, with so very much in common. Ah, so cute, Bobbie Dee! This Saturday, Susan and I will be attending the dedication of the new “Randal R. Sadler Stadium” at Earlham College in Richmond, Indiana. I’ve known (and done business with) Randy since 3rd grade in 1959. We were in Cub Scouts together as well. Cub Scouts earn “Arrow Points” in Gold, Silver, or Bronze for achieving a goal and/or completing a challenge or project. These embroidered “Arrow Points” are sewn onto the Cub Scout’s uniform shirt. I earned a number of these and proudly wore them. Randy’s not only covered his shirt, but ran down his pants leg! So, your beauty, charm, sweetness, and intelligence were evident even back in high school! Blessings! St Paul asks us to lead a quiet, humble, unassuming life. Jesus asks us to be a servant as He is. These are the marks of a successful, heroic life, one that draws no attention to oneself but is committed to the welfare of others. Thanks for sharing this delightful biographical information.